I'm sure most of you will be super happy after reading this post and why is that so? 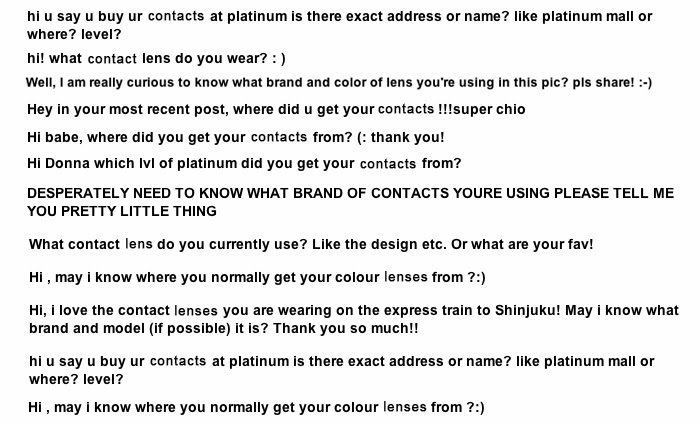 "MAY I KNOW WHAT LENSES YOU'RE WEARING"
"WHERE DID YOU BUY YOUR LENSES"
So just a little background on the story of my lenses.. I have enough to last me until the next time I head back. but THANK GOD, I found the solution to my contact lens woes!!! hence I was able to buy my lenses again!!!! 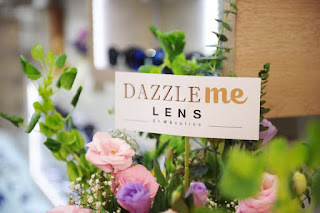 Dazzle Me Lens; retailing some of the hottest and most popular lenses in Thailand! Power available from 0.0, 0.5-10.00 , lenses comes in more than 150 models! today I'll be featuring 4 of the lenses which I bought and absolutely love to bits!!! the most natural looking + look fine without eye make up. 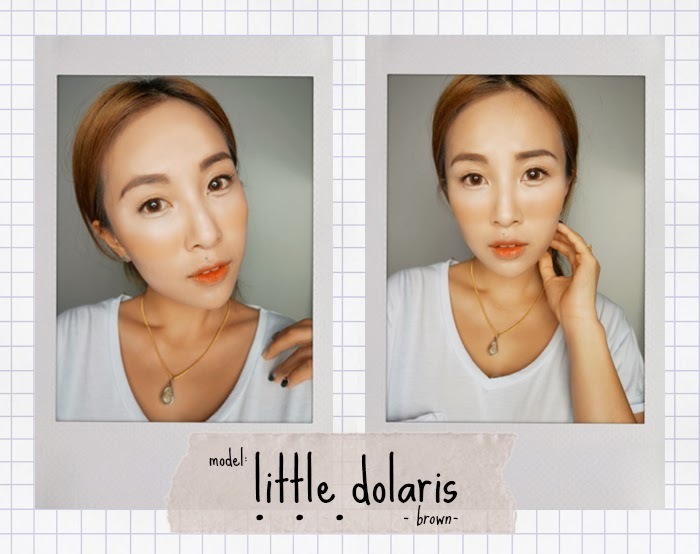 Since I don't apply eye make up everyday, brown lenses are perfect for my daily routine! I've been wearing these lenses for about a month now and I love how natural they look and feel!!! It does enlarge your eyes a little but it isn't too much to make you look....weird! The second pair would come off as no surprise to most of you. its time to buy yours now! Don't keep asking me already!!! really quite interesting. This is actually one of the 4-tone series so there's a mixture of colors in it. Nevertheless, I will always find myself going back to this model! I like!!! 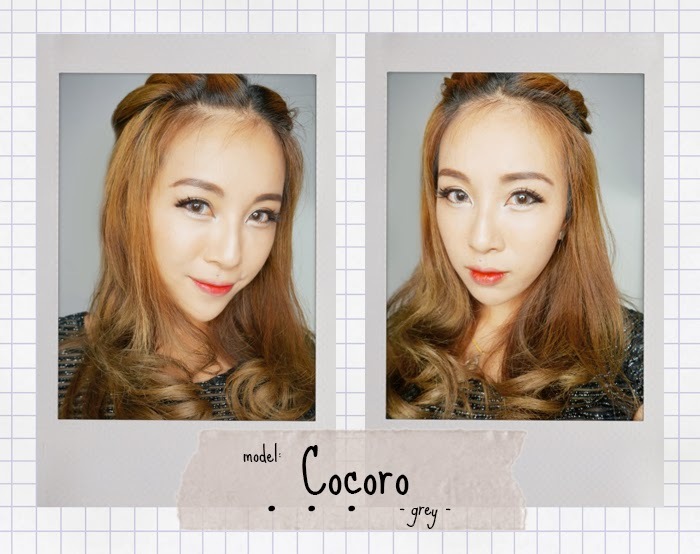 For grey lenses I tend to use them when I have slightly heavier eye make-up! to some of the geo lenses you can find in the market! I like the next one tho.. I realize I have a thing for lenses which falls under the 3-4 tone category! makes it look super pretty! I cannot emphasize how much I really like this pair!!! to make me super happy with my purchase! ++ Buy your lenses at the same price, the second time you purchase! Shipping will be relatively cheaper if you buy more so you can get your friends to buy and order together to save on shipping costs! My lenses came within 2 days via EMS delivery which is SUPER FAST!?!?!? so if you're looking for super comfortable and chio lenses, look no further! You know where to go! know where else to go if I didn't find the Dazzle Me Contact Lens Shop name card in my old wallet!!! just to confirm that I am not SELLING but recommending and telling you where I get my lenses.